I didn't intend to get MP-14 actually. Although I really like the Lamborghini Countach LP500S car, Red Alert is just a secondary character in the Transformers universe. It so happens I'm in Tokyo for holiday now, went into an Akihabara shop and saw MP-14 being sold at a good price. Oh what the heck, I will never get that price locally or online, so I bought it! 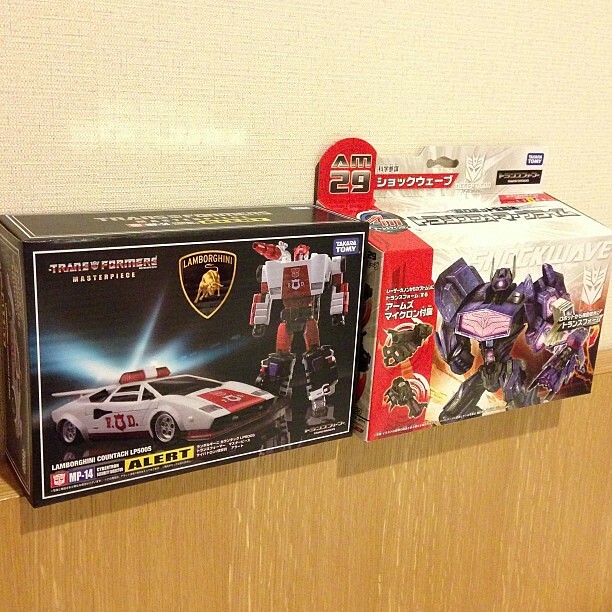 (together with a Takara Tomy AM-29 Fall of Cybertron Shockwave). I'm still on holiday now, so will only review it when I return. I did open up to check, and from this visual inspection the paint application is not flawless but much better than my MP-12 Lambor/Sideswipe. 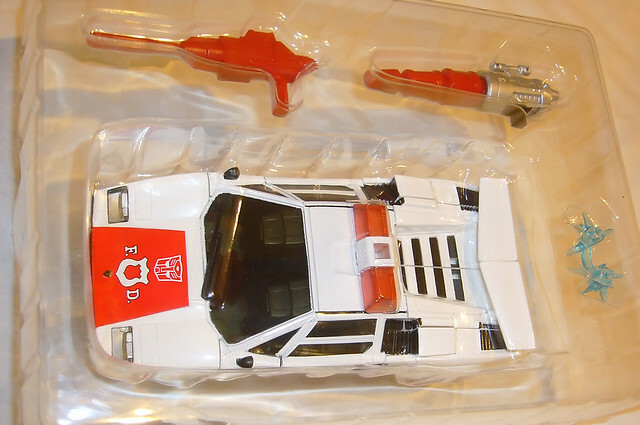 The white paint is applied evenly and I don't see any paint pooling that some folks reported with their MP-12. By now most online shops would've shipped out their orders, so you folks should be receiving your MP-14s soon!